My daughter is in that super picky toddler stage. Every morning it begins with a whole bunch of No's when I give her options for breakfast. In the last couple of months she has refused to drink milk, hot or cold. An easy bowl of cereal is not an option because she does not like the milk in it so I had to get creative. To get my picky little toddler to eat her oats, whole grains and calcium I have to be sneaky and make it look like dessert. 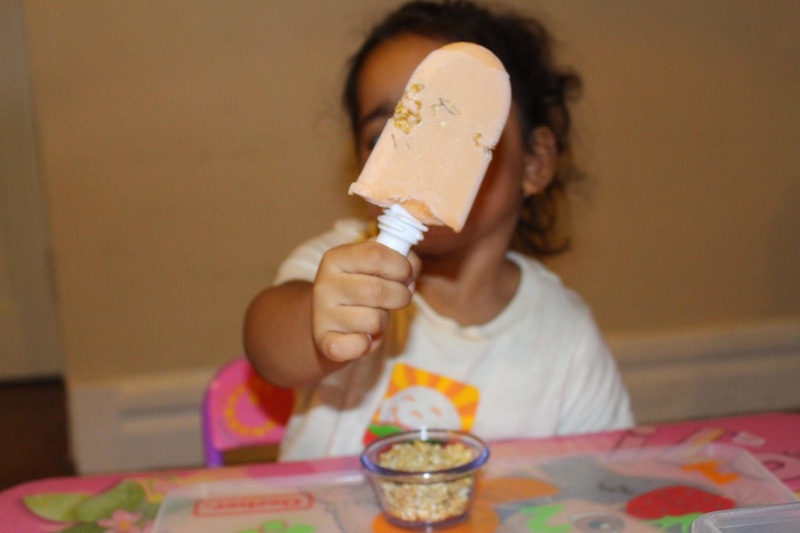 Instead of a bowl of oatmeal or cereal I make her a frozen pop infused with fruit juice, Greek yogurt and "sprinkles" of granola! Since my daughter is growing up in a Puerto Rican household she has gotten a taste of, and loves all kinds of fruits. Her favorites are mango, pineapple and guayaba. 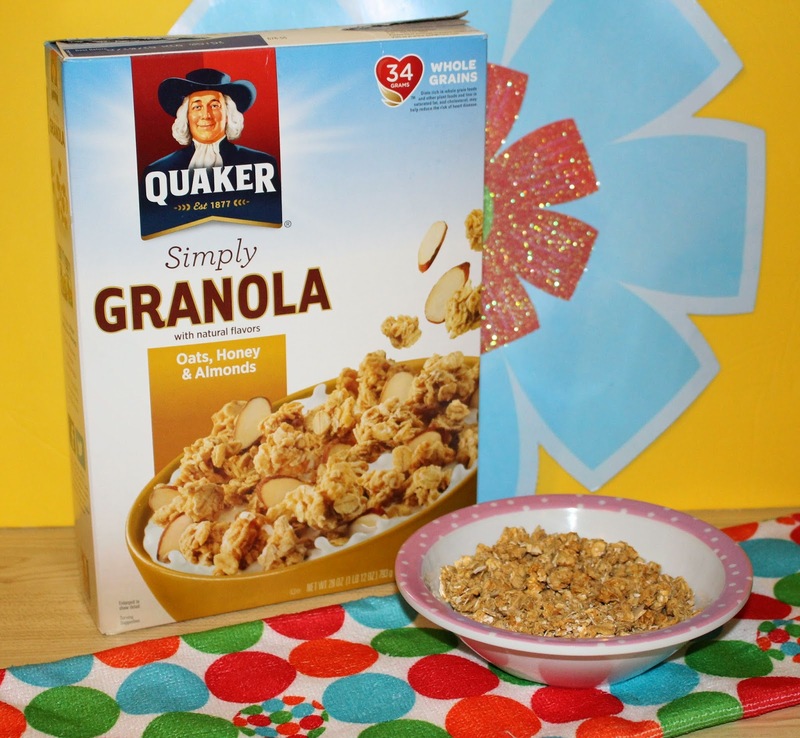 My favorite granola to use on her frozen bars is Quaker® Oats, Honey, and Almonds granola. I love that it has lots of fiber, protein and tastes really good. 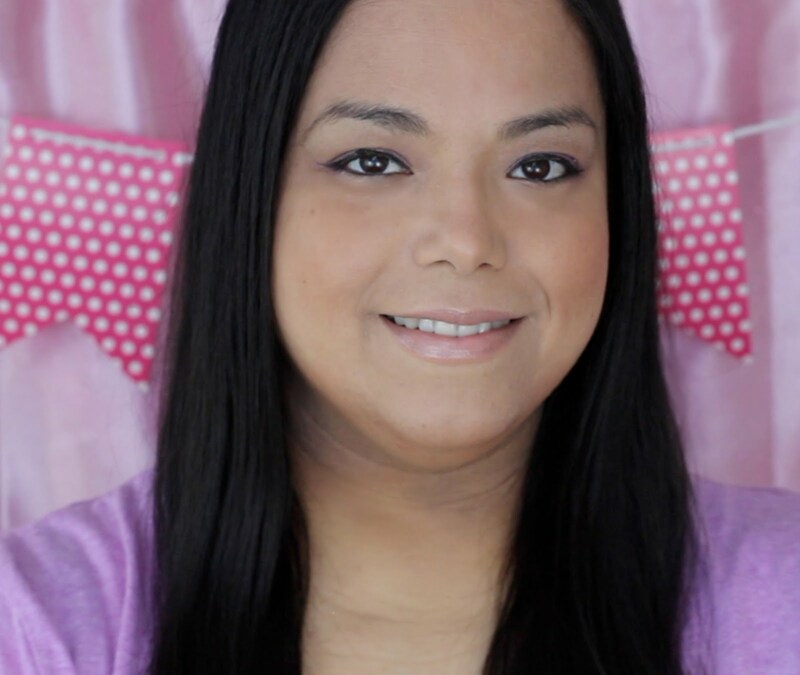 I also love to do one stop shopping at Walmart for everything I need including the fruit pulp, Greek yogurt and all of the Quaker® cereals and granola I always use. Mix the fruit pulp, milk and Greek yogurt together. 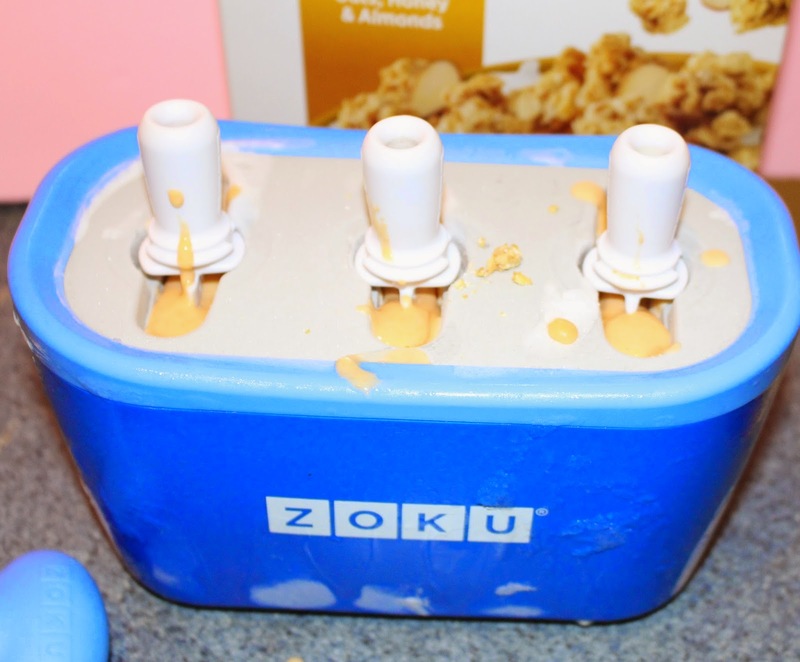 Add about 2 tablespoons of the mixture into the bottom of a Zoku pop maker*. Pour 1 tablespoon of granola into each of the pop molds. 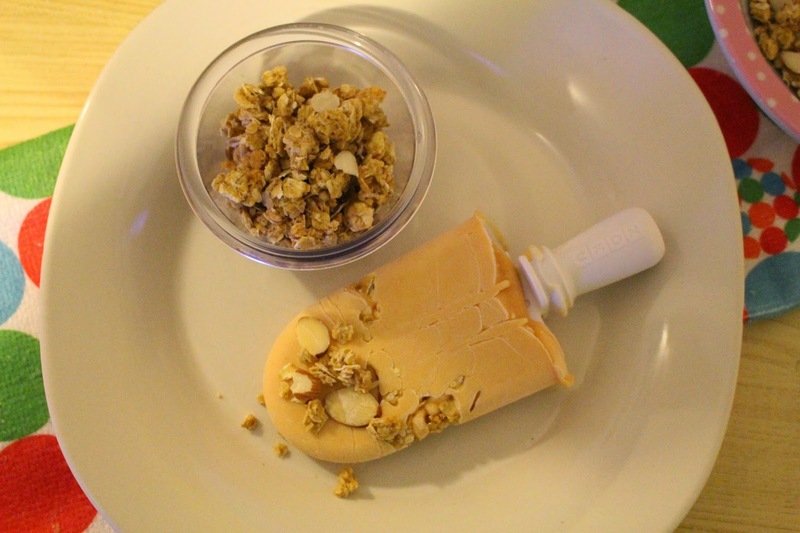 Use a frozen pop stick to push the granola down. Immediately fill the rest of the pop molds with the remaining fruit and yogurt mixture and insert the sticks. Allow to freeze completely and use the Super tool to remove them. Add some extra granola into a little bowl for some extra dipping. 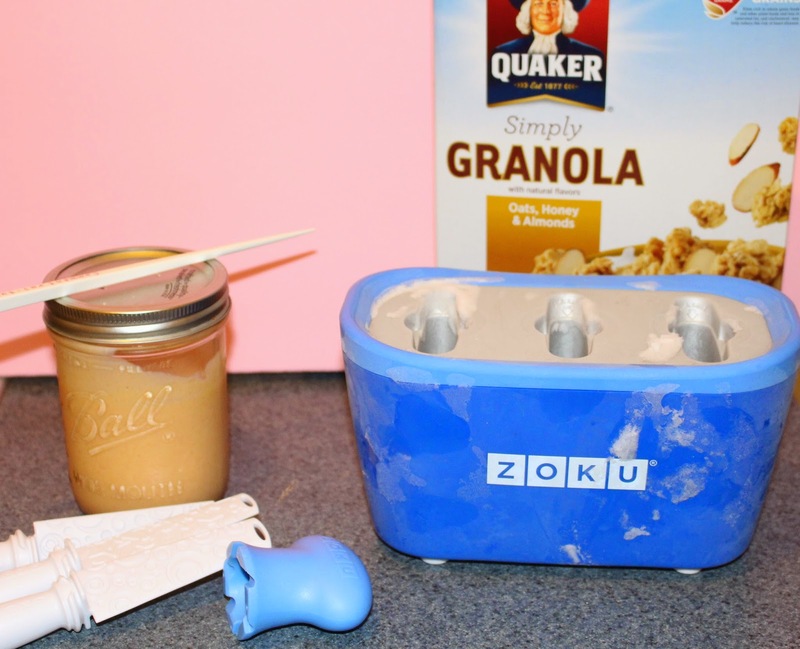 *If you don't have a Zoku pop maker you can just use a regular frozen pop mold and freeze in the freezer. When you are doing the first step you want the mixture to be a little frozen but not all the way so that you can push the granola in. I also love to give the Quaker® Real Medleys®, Quaker® Oatmeal Squares and Quaker® Life cereal as a "trail mix" snack to my daughter. All I do is mix the cereals together in a little baggie and add a little bit of milk chocolate chips. When I give it to her I ask her if she wants chocolate trail mix and she gobbles it up! 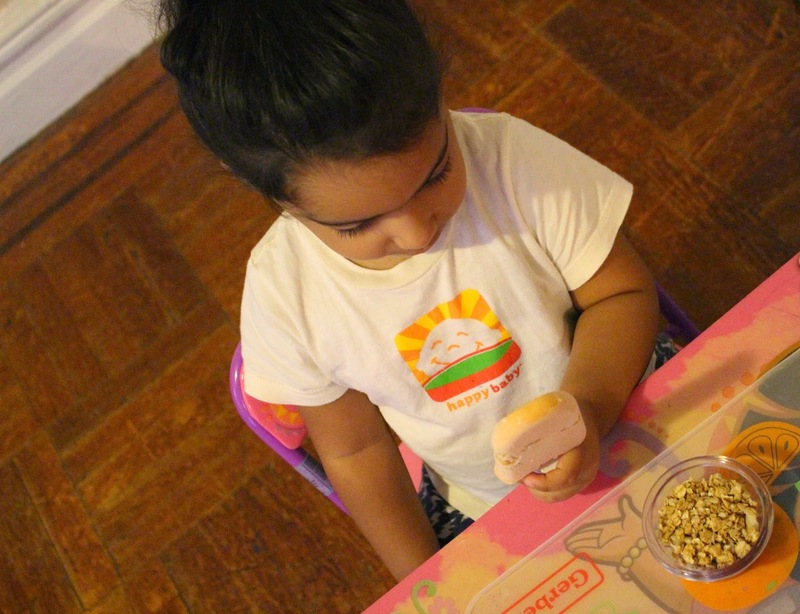 What are some the creative ways you use to get your little ones to eat? Looks delicious!! My kids would love a pop for breakfast...how fun!! Wow - that is a fabulous idea!! I would even love it - and may take advantage of your photos step by step - love your presentation! Wow, what a great idea! I need to try this with some of my kiddos. 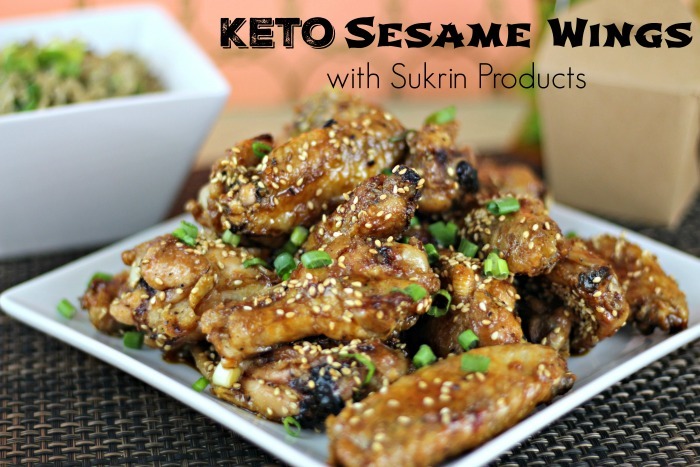 Now if this doesn't get picky eaters to eat--nothing will!! Yummy! I find that if you freeze anything and give it to a toddler they are a whole lot more enthused about eating it, with this I'd eat it too! We used to make our own yogurt pops, but haven't in a while. 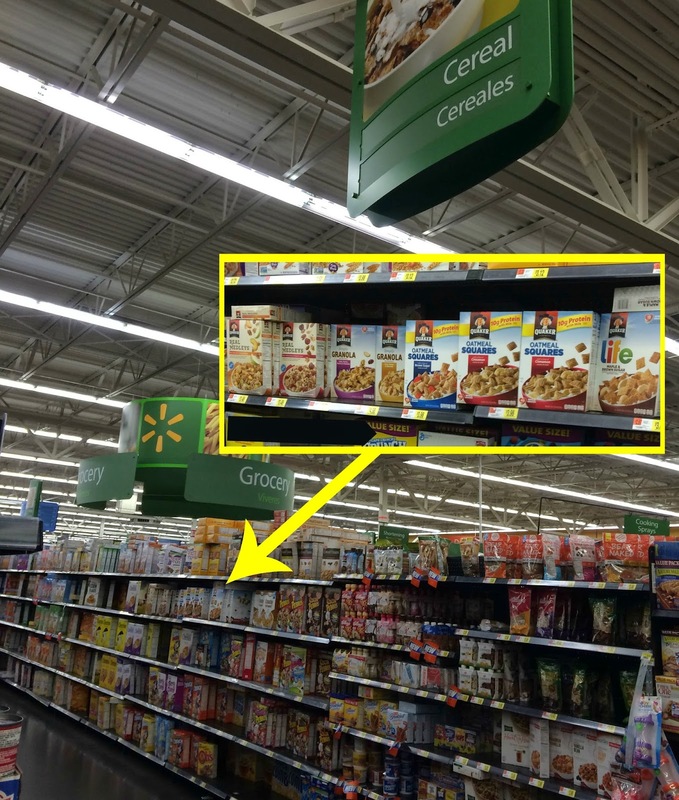 Never thought about adding a cereal to it - great idea! This sounds fantastic! Both my daughter and I would love this! Thanks for sharing! This actually seems like something my son would eat! and I can actually sneak some nutrition into him! HA! I love this frozen pop! What a fun and easy idea! Yum! Yum these look delicious and with the granola I bet its really filling too! This is super creative and I bet she loves it!! Have you thought about mixing the granola in with the yogurt before putting it in the tray? Just seems like it won't fall apart as bad. But hey I love that your daughter loves it! 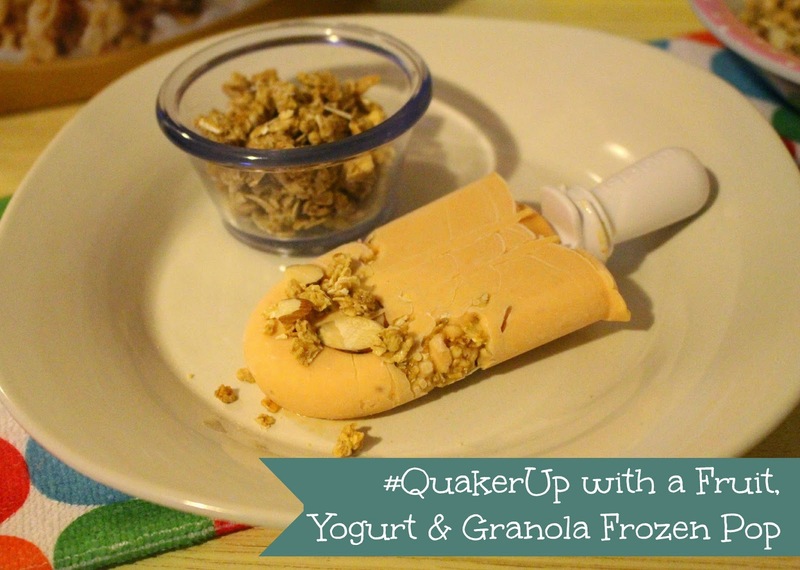 I love granola and would have never thought to add it to something like yogurt pops. But it looks amazingly delicious!! Granola is so yummy; I'd love to try it this way. My daughter is a big fan of making ice pops too. This a genius idea. Take three items that kids generally do not want, convince them it is an ice cream bar, and they will actually love it!! !